Idealeon is the main center for my ideas. My main 'craft' is nursing shawls. I also enjoy creating jewelry, craft and clothing patterns, and a wide range of crafts. I don't usually follow trends, but tend to look to the past for inspiration and more solid ideas. Idealeon came from the merging of one of my favorite childhood pastimes (catching lizards or chameleons) and what I want to accomplish now (new ideas). Similar to the idea behind the name Mockingbird Designs, Idealeon means to assimilate ideas. It is also the pursuit of idealism or beauty in all things. This Anole lizard sits on plants while keeping an eye on the photographer. Commonly called a chameleon, he changes colors from brown to green. The Mockingbird is the state bird of Texas. It is named so because it imitates or 'mocks' the songs of other birds. I like to imitate or 'mock' designs I see and incorporate them into my own designs. The name is also inspired by a well-known lullaby that is sung to children. 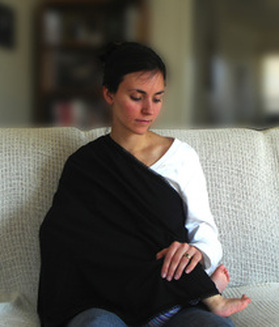 Mockingbird Designs began with the making of nursing shawls. 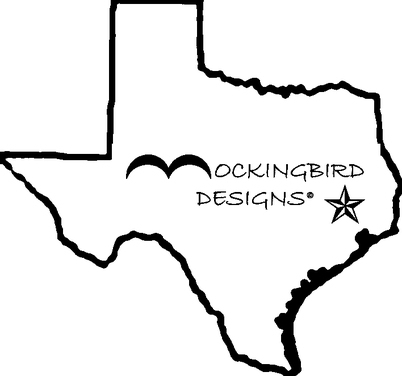 Mockingbird Designs is located in the great state of TEXAS. Emily was raised in Texas. She has an Associates Degree in Illustration and a Bachelor's Degree in Clothing Design. She is a mother, wife, and artist. She is the creator of Idealeon.com and the brand or company name "Idealeon". She also created Mockingbird Designs as the company name that sells her Nursing Shawls in 2004. She has done work for the Children's Museum of Houston, and for many individuals around the world through Etsy. She has a strong interest in learning about other cultures and how they live and dress. Her most recent cultures of interest include: India, the Middle East, Scandinavia, and Eastern Europe. She also loves European historical costume- the Middle Ages and the Renaissance in particular.